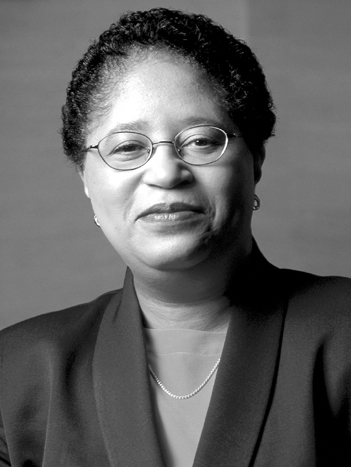 Shirley Ann Jackson, Ph.D., is the 18th president of Rensselaer Polytechnic Institute, the oldest technological research university in the United States, where she has led an extraordinary transformation since 1999. Described by Time Magazine as “perhaps the ultimate role model for women in science,” Dr. Jackson has held senior leadership positions in academia, government, industry, and research. A theoretical physicist, Dr. Jackson holds an S.B. in physics and a Ph.D. in theoretical elementary particle physics––both from MIT. She is the first African-American woman to receive a doctorate from MIT––in any field––and has been a trailblazer throughout her career, including as the first African-American woman to lead a top-ranked research university. In 2014, United States President Barack Obama appointed Dr. Jackson as co-chair of the President’s Intelligence Advisory Board, which assesses issues pertaining to the quality, quantity, and adequacy of intelligence activities. Dr. Jackson also serves on the U.S. Secretary of State’s International Security Advisory Board and the U.S. Secretary of Energy Advisory Board. From 2009 to 2014, Dr. Jackson served on the President’s Council of Advisors on Science and Technology. Before taking the helm at Rensselaer, Dr. Jackson was chairman of the U.S. Nuclear Regulatory Commission from 1995 to 1999. Dr. Jackson is vice chair of the Board of Regents of the Smithsonian Institution and a life member of the MIT Corporation. She serves on the boards of the World Economic Forum USA, the Council on Foreign Relations, and major corporations that include FedEx and IBM. She is an international fellow of the British Royal Academy of Engineering and a member of the U.S. National Academy of Engineering. Dr. Jackson is the recipient of more than fifty honorary doctoral degrees. Among many other accolades and awards, Dr. Jackson has received the Vannevar Bush Award from the National Science Board. In 2015, President Obama awarded Dr. Jackson the National Medal of Science, the nation’s highest honor for contributions in science and engineering. rded Dr. Jackson the National Medal of Science, the nation’s highest honor for contributions in science and engineering.